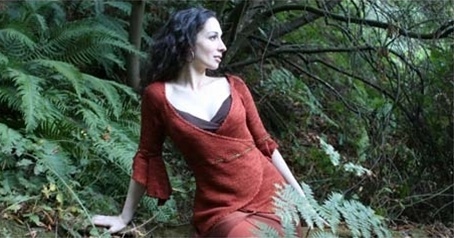 Feminine wthout being fussy, Gesell is a top down raglan with no seaming required. For ultimate flexibility, the instructions offer four options. Choose cropped or full-length version, all knit or trimmed with crochet. Whichever version you choose, you'll have a classic garment that is flattering with a romantic look. Sizes XS (S, M, L, 1X, 2X, 3X) To fit actual bust size 33.5 (35.5, 38, 40.5, 44, 48, 52") Designed to be stretched to be very close fitting. Full length version uses 1079 (1168, 1255, 1404, 1578, 1765, 1876) yards of dk weight yarn.